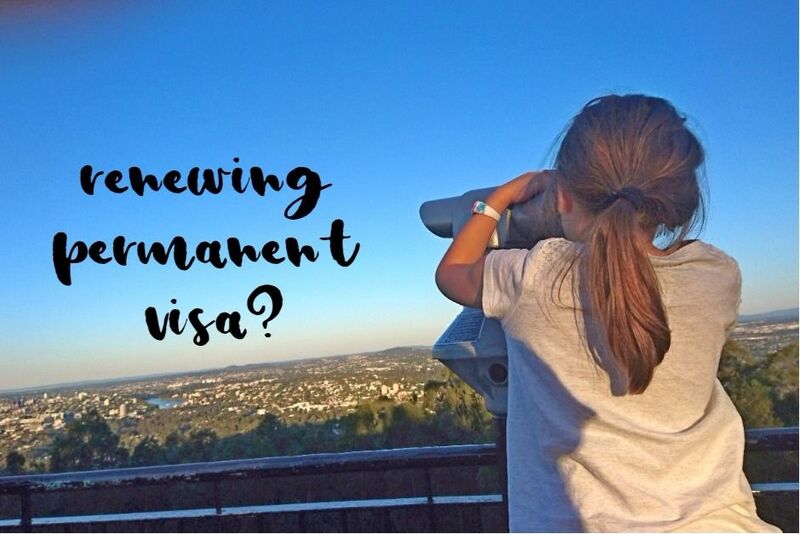 Why would you need to renew permanent resident visa Australia? Should you apply for Citizenship instead renewing your permanent visa? What if I’ve been living in Australia many years without a visa, am I unlawful? Stuck at the airport without a visa when returning from a holiday? Permanent residency visa is being granted for life. As long as you are in Australia usually there is nothing to be worried about even if your permanent visa would expire. It’s becoming problematic if you want to travel overseas after the expiry date of your permanent visa. They will let you go overseas, but coming back to Australia without current visa might pose a problem on an airport, therefore it is very important to make sure your visa has not expired if you intend to travel abroad. You may wonder why you need to renew your permanent resident visa at all. Well – Australian government giving you permanent residency wants to make sure that you will actually live in Australia and contribute to this wonderful country, therefore they invented so-called “travel facility”.Although your permanent visa let you live in Australia indefinitely it allows you traveling overseas and back for 5 years only. If you intend to travel overseas after your permanent visa would expire Resident Return Visa is the one you’d apply for to be allowed to get back to Australia at all. If you haven’t been to Australia in last 5 years at all, I may have bad news for you as you might not be eligible for RRV visa at all. The other options may exist. Give us a call, if you are not sure which option is best for you or how to get your visa sorted. If for some reason you did not like us on a facebook yet, now is the time to click like button. After a couple of years living in Australia as a permanent resident people are becoming eligible for an Australian citizenship. It’s up to a person whether they will apply for citizenship or not. If your country of origin allows dual citizenship, you’re the winner – apply for a citizenship and you will not have to be worried about your visa anymore. With Australian citizenship, you may apply for an Australian passport and remove the need to maintain Australian permanent residency visa. If the country you came from does not allow dual citizenship – that’s a different story, you’ll have to make a decision whether you’d like to have an Australian passport and lose your original one or not. Migration law as we know it today has been gazetted in 1994. Going back in time it was a bit different, people were given residency permit, or a label into their passport when they left a ship in an Australian port. Quite often these passports and/or labels are no longer in their possession. No fear – there are the other ways to determine permanent residency status and ascertain eligibility for a resident return visa. Another issue I can see – their passport may have expired a long time ago and they would have to renew their passport first to consider an RRV. Obtaining a citizenship and Australian passport might be another option, but again – is their country allowing dual citizenship? We love listening to the stories people who arrived in Australia many years ago have to tell. Please give us a call and we’ll check what’s the best option for you. Ohhhh, don’t be stressed you’re not the first one, it’s quite a common scenario when permanent residents are coming back from holiday and they are not allowed to leave an airport because their permanent visa had expired. Customs officers are not your enemies – they just do their job – be nice and they’ll help you get the things sorted. They may allow you to apply for an “entry permit” (Border Visa usually) which will allow you to leave an airport, but you’ll have to get your visa sorted in next couple of days otherwise you may become an unlawful non-citizen and get into real trouble. Give us a call if you don’t know what to do and we’ll get things sorted for you. It’s a special migration visa. Only people who have spent at least 9 years before turning 18 in Australia as a permanent resident and are younger than 45 could apply for this visa. Apart from age and residency criteria department is checking if a person has got any close business, cultural or personal ties with Australia. There are very limited circumstances where this visa could be granted, but – who knows, maybe you are eligible? If you need to renew your permanent visa – no matter what’s your situation, give us a call or contact us and we’ll advise the best option for you. Although Australian permanent residency visa is being granted for life, it allows a person to travel overseas and back for a limited period of time. If a permanent visa holder wants to travel after their visa expiry date, they'll have to apply for RRV. My mother is traveling overseas next year and her permanent resident visa may expire when she is overseas. Can she apply for Resident Return visa overseas? She can, but it is always better to apply and get an RRV approved before leaving Australia as the person applying in Australia has review rights in case of resident return visa refusal. We might be able to get your resident return visa granted given you have some family, business or cultural ties to Australia. Contact us if you’d like Nowak Migration to assist. Hello sir i applied for renew my permanent resident 155 visa and my application delivered to immigration 19/12/2017 but still they didn’t take money from my account & how long that take time for processing i m waiting still? Did you apply online or paper application? If online – you’ll have to proceed with payment right after lodgement otherwise the application will be invalid. It is the best to lodge online as paper applications are very often delayed and if you have sent it to the wrong processing centre it will not be accepted at all. After online lodgement, it may take up to a month for a response (assuming you’ve been living in Australia at least 2 of 5 years before lodgement). It is possible to request an expedited assessment in special circumstances. If you do not pass a residency test (2 out of 5 years in Australia) it may take forever to get any response. I have got PR visa and I have lived there 5 months and bought house in Perth and still have it under my name. But my family have lived there over 2years and got 5 year RRV. My daughter was born in and have citizenship. You can, it might be granted for 3 months allowing you to come back and re-settle in Australia. On the other hand, the fact your kid is an Australian and you own the house in Perth might be a good “sign” and a case officer will give you a 1-year visa. Give us a call to discuss. My permanent resident visa is expired on the 23rd of Jan, but I am not travelling oversea these few months. I already submitted my citizenship application so do you recommend me renew PR visa or just wait till citizenship? Your citizenship application can take a couple of months, then another few weeks at least waiting for the ceremony then another few weeks before you’ll get an Australian Passport, so applying for RRV might be a good idea. My family and I have PR until mid 2018. We lived in Australia for 3 and a half years until late 2014, the first 2 years were on a temporary visa and then a year and a half on a PR visa. We had to leave Australia in 2014 due to the ill health of my wifes parents who have since died. I have a little boy who was diagnosed with a serious lifelong medical condition while we were on our PR visa . I am wondering what our options are if we cannot return before our PR expires. Could we be excluded from being granted a residents return visa on medical grounds and do we have until late 2019 to apply for a RRV? First of all – does your boy have also a PR visa? Yes he has a permanent residency visa. The whole family do. It’s the best to return before travel facility of your PR would expire and apply for RRV while in Australia. Health should not be a concern if your boy already has a PR visa unless they will find out condition was known before he was granted a visa. If you will apply for RRV offshore a process might be delayed for one or the other reason and if the visa will be refused you’ll have no review rights, as I said – it’s always better to apply onshore. Thank you very much for the advice. Much appreciated. Despite PR visa is being “granted for life”, travel facility of PR visa is being given usually for 5 years. Department wants to make sure a person really wants to live in Australia. If you’ve been visiting Australia now and then there’s a chance your RRV will be granted for another year, but I’d suggest to appear in Australia before expiry date of your visa and apply for RRV while in Australia. Hello, I have a permanent residency (Partner Visa) which is expiring this year. I would like instead of applying for the renewal of the visa to apply for australian citizenship. Now I was wondering, will there be a problem if I don’t manage to get my austr. citizenship before my permanent visa expires? As long as you’ll be living in Australia I see no issues. Hi, me and boyfriend applied for citizenship since last year; around month of april and been waiting for like forever and were about to go back to our country but our visa (permanent visa) were expired, by applying rrv will it effect our citizenship application? And how long is the process for applying rrv? The fact you have applied for RRV should not affect your citizenship application. Significant absence from Australia – may. It can take a couple of weeks to get an RRV granted. If you need it quick – we may ask a department for expedited processing. My PR expired this Nov 2018. My length of stay in Australia will only be 1 yr 7 months when it expire. Can I apply online for renewal of 5 yrs PR or I can stay till I fulfill 2 yrs stay before I submit for renewal? I rent a house and my kids go to local school. Will this enough to justify ties with Australia? You can stay in Australia even if a travel facility of your PR visa would expire. You may wait until 2 years in Australia before you’ll apply for an RRV, if you wish so, that way you’ll fulfill “a residency requirement” to be granted with a 5-year RRV. Your PR visa does not expire as such. It is a travel facility which is expiring. I start my citizenship process a few weeks ago, because my PR going to expire in a few months, but now I was advised that my citizenship could take up to 18 months to process. Can I apply for RRV in the middle time of waiting for Australian citizenship? I lodged my online RRV application in January but still no response (it’s been more than a month. I need to travel out of Australia in the next few days and my previous RRV has expired. If my RRV is granted while I’m overseas, will I be able to come back into Australia? Or do I need to be onshore when the RRV is granted? It’s always better to have it granted onshore. In case of refusal, you’ll have review rights. If you need to leave Australia soon – give us a call we might be able to assist with speeding up the process. Hi sir, can I leave and return to Australia while in the process of renew my visa. How Can I request to expedited my assessment? You can leave Australia and come back as long as you have a valid visa which allows you to travel for the whole duration of the trip. We can assist with speeding up the process for RRV – you may consider giving us a call to discuss your options. Hi guys could you please explain to me how to renew my Permanent Resident Visa. Visa Grand Date 2/October 2013. And 2 October 2018 ( Must Not Arrive After). Do I have to renew?. I do often to go to overseas. So please let me know guys,what should I do. Thank you very much for your time to read my case hope you are willing to help me. God bless you. You should renew before a travel facility of your visa would expire. At least 2 months before that date. Standard RRV processing times are 1-2 months at the moment. Give us a call if you’d like us to take care of your application. I submitted my application to renew my RRV155 on 7January18, and today after more than 45 days, I have yet to receive a reply even though I have spoken to them twice on the phone to seek expedition. As a result I cancelled my flight over this weekend even though it was very impotant for me to travel. I’m wondering if its advisable to just travel and hope that my RRV will be granted during my 1 week of travel. I must return after a week to continue with my current employment. Fyi, this is my second RRV155. The first one took two weeks last year when I was offshore. You kind advice most appreciated. I would not leave Australia without a current visa. There are other ways to approach a department to speed up Resident Return Visa process. i have my pr but it will expire this year. i’ve been living in australia for more than 2 years(i’m not sure, can you check it for mr) for the paste 5 years. and i have a house there. how should i renew it without going back to australia?please contact me , thank you. You can apply for resident return visa overseas, but you may be granted SC 157 which will have a travel facility just a couple of months. Hi I am Australian citizen and my wife is a Singapore citizen but she has Australian PR she has just been given a 12 months RRV. We are currently living in Singapore and been here for the past 2 years because of my wife mother medical condition. Will she be able to renew this visa in 12 month and do we have to send time in Australia to renew? My visa expire last month and I’m going to overseas March 22. I do online permanent resident visa Resident Return Visa (155,157) 28/02 today March 1 I just want know when my visa coming? How long take the come? Could be up to 2 months if you satisfy a residency requirement (2 years out of last 5 in Australia). Let us know if you need it faster – we can ask a department for expedited processing. 18 days left . I’m going to turkey.what can I do for come fast? Can you please tell me? Give us a call. We can follow up with a department on your behalf to get an RRV visa granted faster. Attached document in a letter from a department is your visa. Department is not providing with stickers anymore. My wife and I are currently just over 2 years into our PR and have recently submitted our citizenship application. I note that the processing times are between 12-15 months at present, however my wife’s employer (large Australian firm) has asked here to relocate to look after their new office in Asia. If we go, will this affect the application? This post is about resident return visa, not citizenship. I (and my wife) and my brother (and his wife) are Australian Citizens and have been living in Australia for over 15 years. My eldest sister (single) and mother (widow) got PR in 2007, moved to Australia after getting PR but went back after a month. They kept coming for a month or two only and hence lived here only for total of around 3 months in total over 5 years and are currently residing in India. Now, they are looking to settle on PR in Australia. Is that possible to get PR again using either RRV or subclass 155 or any other option? They can. Could be tricky if their 155 already expired and they are offshore. I’d suggest booking a consultation to discuss the best way forward. My previous PR visa has expired so I filed an online RRV application early Feb 18 but no response as yet (it’s been more than a month). I need to travel back to Australia in 4 weeks time. If my RRV is not granted in time before I leave, should I apply for an tourist visa in order to regain entry into Australia? Or will the eTourist visa affect my RRV application? Many thanks in advance for your advice on this. Tourist visa may impact your residency. Book a consultation so we’ll have a look at your resident return visa application and advice accordingly what to do. Hi there, I renewed my RRV in 2017 while i was overseas and have spent only 14 days Australia since and my current RRV expires on Feb 2022. I however plan to return to Australia by Feb 2021 to stay on for the 2 year period until 2023. I would like to check if I am able to leave Australia between Feb 2022 and Feb 2013 or I have to wait until i renew the RRV for another 5 years from Feb 2013 onwards? Reapply for Resident Return Visa before Feb 2022, to have it current while overseas. Sorry, my bad. I mean 2023. Your permanent visa let you stay in Australia indefinitely, even if travel facility would expire. It’s a good idea to get RRV granted just because of an emergency you’ll be able to travel. I would suggest not to leave Australia without a visa, but well – you have already left. We may approach a department through our channels hoping your visa would be granted on time. Please give us a call to discuss the way forward. My Aussie PR is expiring in Oct 2018. I’m currently working outside of Australia with my husband who is an Aussie Citizen. Should I apply for my renewal (RRV) now from outside or should I wait until I return around September to Aussie for a short stay and then apply? Always better to apply while in Australia. The permanent resident visa travel eligibility for my wife and myself will expire by Aug 2018 but my daughter’s (3 years old) will expire in 2020. Did not live for 2 years for 5 yrs visa eligibility. We are still in India and based out of UK on work assignment. My job contract will expire by March 2019. After that I am sure to travel to Australia. If I end the contract now I will have to pay back to the company. When our PR was approved my wife got pregnant. As she already had a miscarriage before, we decided to validate our PR and come back and be under the observation of the same doctor. The delivery was done by inducing pain which had serious implication on my wife’s health and our daughter after 3rd month became lactose allergic which lead to drastic weight loss. On health ground we decided to continue for some more time in India before moving to Australia. Meanwhile, I received a contract job in UK which will expire as said by March 2019. Can you please suggest since my daughter (a minor) has a valid PR are we eligible for 1 year RRV? When should I apply for it? Any suggestion is always welcome. Hope to hear from you soon. It all depends how long have you been in Australia within 5 years time before applying for Resident Return Visa, if you have close ties to Australia, reason why have you been offshore, etc. There’s a possibility your RRV could be granted even offshore. My PR visa is expiring in first week of April 18 and I have already applied for Citizenship in Oct 2017. But didn’t heard anything back from immigration. Do I have to renew PR or wait for Citizenship? Also I have to travel Overseas in October 2018. Thank You. I’d suggest applying for RRV. It’s gonna take at least another couple of months before your citizenship application will be decided, and you’ll get an Australian passport. My PR visa got Expired, I am overseas ie. not In Austrailia I lived in Australia as a permanent resident less than 2 years in 5 years period while my PR visa was valid. I am unable to prove any personal ties to Australia (family, business, community, etc), Am I eligible for RRV? If you have lived in Australia less than 2 years within last 5 years you can still get an RRV for a year (sc155) or 3 months (SC 157). Please book a consultation so we’ll discuss the details and take care of your case should you decide to proceed with the application through our agency. 2. If not, can I start a new PR application? Will my previous PR (and refused RRV) will have any impact on new application? What are the chances of my new application being successful (I’m 42yrs old). Previous applications may have an impact on a new one. You still may have your RRV granted even if it was refused earlier – strong submission may be required. Let us know if you need an assistance with your new application. I have 190 PR and Travel on my PR is getting expired on 23-Apr-18. I was in Aus along with my family in Jan 2014 for 2 weeks. My wife is filing application with ACD and expecting results in Sep’18. We would like to wait for results before we move to Aus. Wanted to check with you if we can apply for RRV in Aug’18 and what is possibility of getting RRV (even 157). This post is about renewing permanent residence not applying for it. Please book a consultation if you need an assessment. I was granted a PR Subclass 880 on 2006 to 2011, as I had a job offer in Holland from a large accounting firm I was not able to meet the 2 years requirement to stay in Australia. However, I was able to receive the RRV subclass 155 in 2011 to 2016. During that period I have stayed around 1 years in Australia. However, I moved to Hong Kong in 2011 got married to my husband in Hong Kong, at the same time I got pregnant and became depend on my husband income for a while to take care of my kid. As a result I was not able to come back to Australia to meet my 2 years RRV requirements. My RRV got expired in 2016, since then I have been visiting Australia multiple times with an ETA visa. If possible I would like to move permanent to Australia to get my citizen ship. Could you let me know what would be the best option for me ? 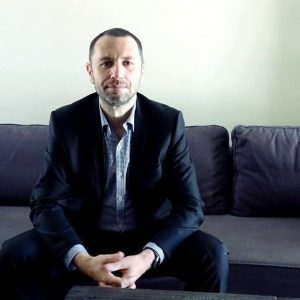 Other information about me is that I am an Australian CPA for more than 10 years and also I have a sister living in Australia who is willing to sponsor me. You shouldn’t be applying for ETA if you are a PR it may have cancelled your residency status. Department may consider your RRV if you apply. Book a consultation if you’d like to discuss. I had my PR to Australia from 2009 to 2014 for which i have extended RRV till 2017 . Now my RRV has expired although i have applied my RRV while i was in Au in dec 2017 but since dec 2017 it is in pending & currenlty i am in Pakistan . I have mange to travel to australia on various occasion. if i can re apply for my PR – i.e a fresh case as i suspect my points shall be 55 if i have IELTS of 7 each minimum. We’ll have to follow up with a department re: your RRV application. Please book a consultation to discuss your case. I am a permanent resident since Jan 2015. I have lived in Australia for 1 year and 1 month and now I am working abroad. I have a contract with my current work until 2023. But I will try to go back and forth Australia whenever I have a chance to make it 2 yrs until the travel facility expires in 2020. In case I could not make it 2 yrs until 2020, what are the chances of me losing my PR? I have planned to buy a house by the end of this year and I have been declaring and paying taxes every year. What sort of stronger ties do I still need to show the government? You seem to be on a good path to get your RRV granted in the future. Sidenote – you don’t have to wait for your PR visa to expire to apply for RRV. I my PR 190 is going to expire on May 24th 2018, We have been there in Australia for 5 days and came back to india. We applied for online RRV via immaccount from India on 20th of March 2018 and the estimated processing time shows as 7 days to 47 days. Am not sure whether that estimated time is working days or it includes weeknds as well. Today is 39th day and my application still in “Received” Status. I am confused what to do now , what are the chances of getting my RRV before the expiry of my PR. It’s estimated processing time, not guaranteed. It’s always better to apply for a visa onshore, while in Australia, not overseas. Ask yourself if there could be any reasons for your visa to be refused. If so they might just be waiting for your 190 travel facility to expire. Book a consultation if you’d like to discuss. Best is not to leave Australia for 5 years or more. Come at least for a short visit. Australian child could be considered as a close tie. I’m from Bangladesh. My visa subclass is 190. It will expire in July 2019. I didn’t stay for 2 months in Australia since i got the visa due to family reasons. My wife’s partner visa also need extension in March 2019, even she didn’t stay for a month in Australia after having the visa. Would like to know is there any way of renewing our visas from Bangladesh without travelling to Australia as we still have commitments in Bangladesh. You may give it a go from Bangladesh, but it all depends what kind of ties have you got with Australia – it’s up to the case officer if they’ll be happy with evidence. It’s always safer to lodge while in Australia. Please book a consultation if you’d like to discuss. Thanks for the response. Regarding ties in Australia, I don’t have any family member or business/job offer over there. However, I would like to apply for my father’s visa what is the procedure? Would he be able to get 10 years multiple? How to book consultation from Bangladesh? If you do not have any ties it would be safer to come to Australia and apply here. To book a consultation just click on the button at the top of the page and follow the prompts. Hi. The travel facility on my PR 190 is expiring on 5/7/2018. I have been a resident of Australia for over four years and have a job. I applied for an RRV on 21/4/2018, but I still haven’t received a response. If I go on holiday and come back on 2/7/2018, will I still be able to enter Australia? Thank you. I wouldn’t take a risk leaving Australia without RRV granted. We can approach a department on your behalf if you need to speed up the process because you are going to leave Australia soon for a holiday or whatever reason. We got some RRV’s granted in a day if there are compelling circumstances. Please book a consultation so we’ll check your eligibility. Hi, I’m hoping you can give me your opinion on the strength of my scenario. Granted PR on 31 May 2013 and have been living in Australia full time (with the exception of one vacation over the five years), have property, a partner a business registered and all of my worldly possessions there . I’ve had, and passed, the citizenship about a month ago. I have just started working on a short term FIFO project in New Zealand and on getting to the check in to fly home was told that I can’t as my 5 years is up (expired 3 days ago). I’ve just applied for the RRV online and have flown to Auckland in case I need to meet someone in person. Can you foresee any problems with my application? It’s always better to apply for RRV while in Australia and wait for the outcome here. Standard processing time for RRV could be up to few weeks. Let us know if you need to get it decided quicker (please book a consultation) – we may be able to follow up with a department on your behalf if necessary. What do you mean holiday visa? Did you apply for a visitor visa instead of RRV last time for a travel to Australia? It may have canceled your permanent residency… We may give it a go, but it could be tough to regain your PR. Please book a consultation to discuss your situation. I am an Australian Citizen living in Pakistan. I want to apply for my wife’s spouse visa (subclass 100) knowing that we will visit Australia only occasionally, probably 2 months every five years. Can my wife get a Return Resident Visa later when her PR is about to expire, upon the Argument that she is living with me (an Australian Citizen) overseas. First of all, she’ll have to get a partner visa granted. An after few years you may be worried if she’ll get an RRV. My Australian PR is expiring in Nov-2018. Recently my wife has been granted Australian Provisional PR (subclass 309). I am working for ANZ bank in New Zealand and haven’t lived in Australia for 2 years. Can I be granted RRV 155 based on my wife’s provisional PR? Please suggest, how many days before should I apply for the same? For an RRV the main question is – how long have you been living in Australia in last 5 years, not 2. Please book a consultation if you’d like to discuss. Out of five years, I have lived only couple of weeks in Australia..
That’s fine – we should be able to get you RRV sorted. Please book a consultation and pay the fee if you’d like to assess your visa eligibility – we’ll discuss the details with you and if you’ll decide to proceed we’ll take care of the whole RRV application. Our 190 visa expiref on 24th of may 2018. We lived in Australia for 10 days during the period when our visa was valid. We applied for online RRV 157 on 20th of march 2018 but still the application is in received status. Could you please advise our chances of getting RRV 157. We even registered in medicare and centrelink. it all depends if you have any personal, business or cultural ties to Australia. If none – well it may take ages before you’ll hear from them. If you did not provide any documentary evidence together with your application, it’s gonna be very likely refused. Hi .. My Travel facility on my PR has expired, In fact it had expired when I came back to Australia from my previous holiday and I was granted a border entry permit. Not fully understanding the rules of permit I didn’t apply for for an RRV. 2 years later I have realised my error and applied for an RRV (10days ago) for travel on 05.07.2018. Should I apply for a BVB to cover myself ? I have been in Australia 9 years and spent 2 months overseas during that period. Why BVB? Have you been granted with BVA? It may take up to a few months for RRV to be decided. if you need to travel 05.07.2018 follow up with a department would be necessary. I would not be leaving a country without having a valid visa. Please book a consultation if you’d like to discuss your situation. I have Australian skilled migration 189 visa valid till September 2019. I traveled to Australia on 189 visa in 2014 and lived there for 2 weeks and came back after that. I am currently working and living in US and will not be able to move to Australia until 2020. I want to consult with you on my options to extend my existing skilled migrant visa grant for Australia so that I can travel to Australia even after 2019. Can we extend the visa on some grounds so that I don’t lose my grant while I’m staying back in US? What about Resident Return Visa? Please let me know the procedure if extension or RRV is a possibility. Please book a consultation if you’d like to discuss your options. RRV could be possible. my rrv expired in dec-2017 . i have applied for rrv from sydney while i was there however i have to leave australia for compelling reson after one month stay . i have recived a reply in may to comply RRV conditions from deptt. i dont have any ties to australia so i wrote those compelling reasons . after that they replied me that they will took more time to issue my visa . till time its been six month i have not recieved any reply. Please let me know what are the chances & maximum timelines to issue a RRV. If you are offshore, you haven’t been living in Australia for at least 2 years in last 5 years and there are no ties to Australia it might be difficult to get an RRV at all. Please book a consultation so we can discuss your case. I traveled to Australia in 2017 to validate my new born’s PR. She got her 5 years PR now while my PR travel facility got expired right after my return from Australia last year. I’m offshore with my child right now. Is it possible to obtain a RRV for me based on my circumstances? I visited Australia twice (once in 2012 to validate my PR) hoping to settle there but had to return due to job and personal issues. If you are able to prove bussiness, cultural and/or personal ties to Australia your RRV could be still granted. Book a consultation if you’d like to discuss. My PR visa is expiring on 3rd Sep 2018. In last 5 years I have been to Australia twice. Once in Nov 2013 and in June 2017. Total period of stay is 1 month 3 weeks. Me or my family do not satisfy a 2 year condition. What are my chances of getting rrv subclass 157. I do not have substantial ties to Australia. Should I secure admissions for my kids from India..I can return for good Only in March 2019. If you have no substantial ties to Australia, your chances of getting RRV from overseas are slim. I’d suggest to come back to Australia within the validity of your current PR visa and apply from here. It may take a few months before you’ll get a decision. I am on a Subclass 155 visa, and I always renew it before the travel facility ends. However, I am beginning to wonder if I can renew the visa only before I travel out of Australia. I have lived and worked in Melbourne for the past 12 years, and I used to renew my visa online. The processing was usually instant since I always met all residency requirements. Instead of renewing my visa and allowing the 5 year period to run, would it be OK for me to renew my visa only sometime before my next travel plans? You can take a risk and renew before next travel plans, but the question remains how long will it take to get your visa decided. It does not seem to be instant anymore. Hi Sir! I am hoping you could help me with my query. I was granted PR on 2012 and expired by 2017. After PR visa grant on 2012, I am overseas most of the time to finish my degree and licence. But I make sure to be in Australia for at least a month yearly. I applied my first RRV (1 year) offshore on 2016 before the PR visa expire. I applied my second RRV while in Australia on September 2017 before my first RRV expire. I was not able to enter Australia only in 2018 because I needed to attend daily review and was preparing for a licensure exam which was on November 2018. My second RRV expired on October 2018. I have applied my third RRV on December 2018, which was 2 months past the expiration of my previous RRV. How likely would I still be granted a RRV? My only ties to Australia is that my mother, my father and my two siblings are all Australian Citizen and are living in australia since 2011. I have been worrying that they might reject my application. By this time, I am now to permanently stay in Australia since I have finished my degree and have granted the wish of my father for me to be a licensed engineer. Do I need to be worried about my application? If most of your family are Australian citizens there is quite a good chance your RRV will be granted. Make sure you have provided all the relevant information in the application.